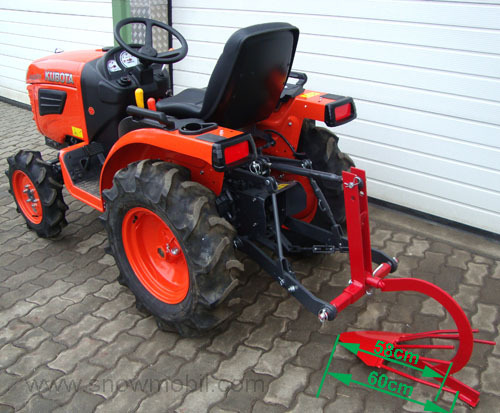 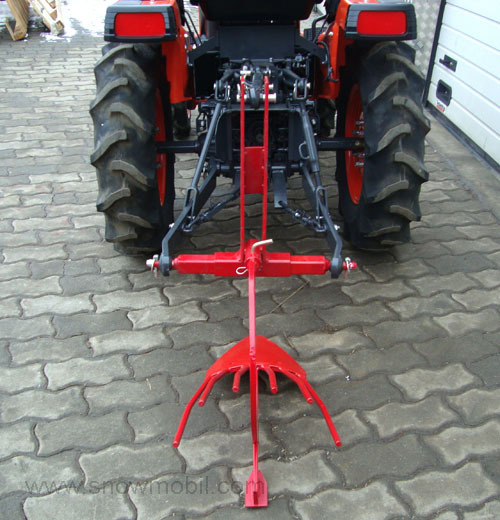 The tractor should have a rear three-point hitch KATI. 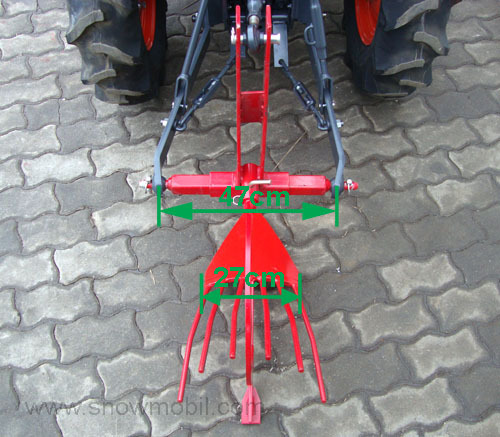 This is a 1-row potato harvester. 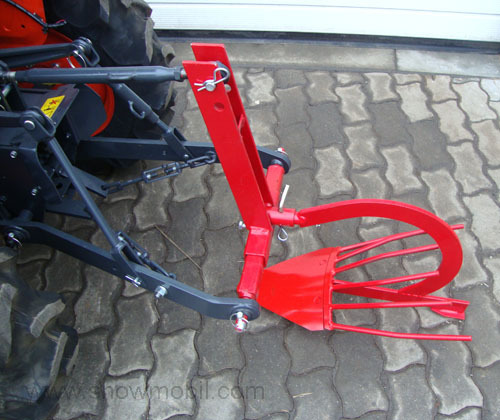 The width of the blade is 27 cm.